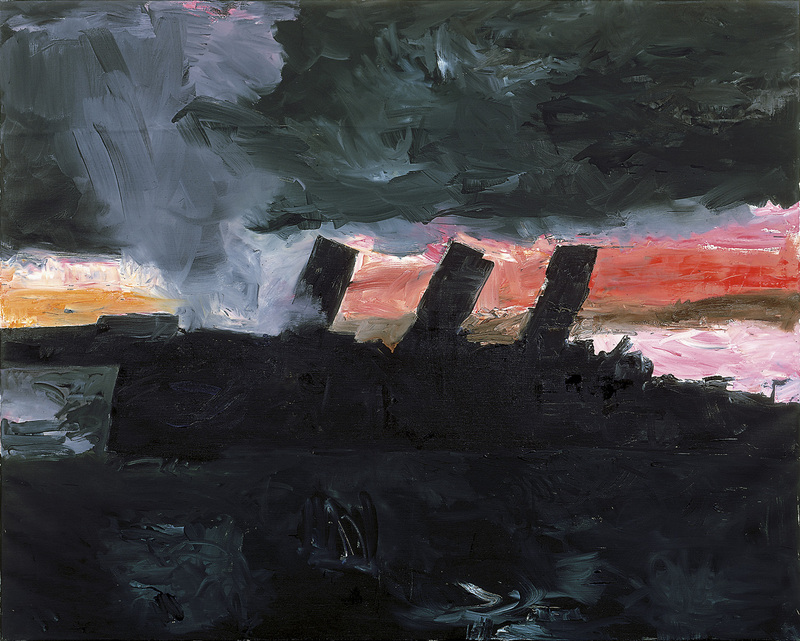 The Berlin painter Ulrich Baehr, born 1938 in Bad Kösen / Saale, celebrates his 80th birthday this year. 1958-65 Baehr studied at the Hochschule der Bildenden Künste Berlin (1958-65). He was co-founder of the legendary Berlin gallery ‘Großgörschen 35’. Scholarships and study stays in Paris, New York, Levanto (Italy) and Los Angeles followed. Ulrich Baehr taught at the Staatliche Hochschule für Bildende Künste Braunschweig. After a guest professorship at the Hochschule der Künste Berlin, he held a professorship for painting and Art in Public Space in Hanover until 2006. In 2006 he was awarded the German Critics’ Prize (Deutscher Kritikerpreis). “Ulrich Baehr’s historical paintings and the ‘German Toirsi’, with whom he became famous in the 1960s and 1970s, have inscribed themselves in the history of art,” writes curator Beatrice E. Stammer. Such motifs were triggered, for example, by ship catastrophes that moved the world. In the series ‘The 20th Century’ such dramatic subjects seem like “a dark résumé of the 20th century” (Simone Reber). Some works from the series are shown in the exhibition. 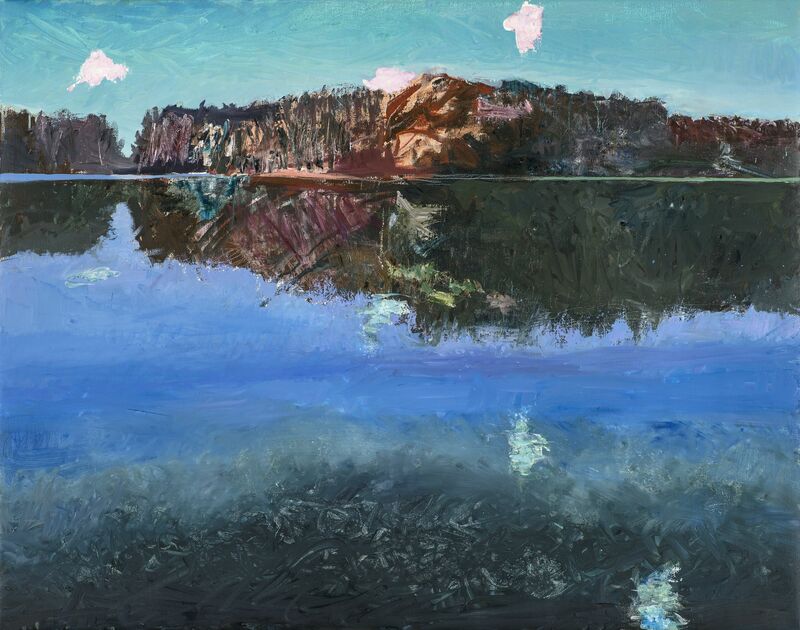 Ulrich Baehr’s landscape paintings – the gallery shows some of the motifs created in the vicinity of Berlin – make it clear that Baehr’s art concept is about more than cultivated painterly nature sensations or the geographical recognition of lakes and forest scenes. Here, too, many motifs remain mysteriously connected with German history – such as the period of the Cold War. Even in seemingly deserted lakes, forests or ranges of hills, signs of former military actions can be discerned. But they draw their suggestive power from the painterly confrontation between realism and abstraction, as well as from the energy of their constellations of colors.